um ein Gewerbe im Bereich Bauwesen zu betreiben. to buy quarry stone lots. Julio Cesar benötigt für dieses Geschäft noch 825 US-Dollar. » Schon mit 25 US-Dollar können Sie Julio Cesar unterstützen! Geld wird für Julio Cesar gesammelt. Julio is a young man who is 30 years old. He defines himself as having a fighting spirit, being honest and, above all, being a hard worker. He looks out for the well-being of his son, wife and mother who are his main motivators in life. 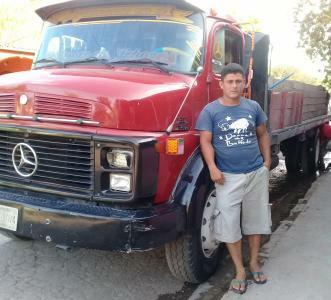 He is requesting a loan from KIVA, along with Microcrédito, to be able to buy quarry stone. He would like to strengthen his business by selling more and being able to transfer more construction materials. In the future, he would like to buy another truck.